Energy – Lutz Roofing Co., Inc.
• Insulation is critical: Despite differences in opinion about the role that roof color plays in energy savings, nearly every industry expert agrees that the amount of insulation R-Value beneath the roof membrane represents the most important consideration in obtaining energy efficiency within a roof system. • If possible, it is even more beneficial to use two layers of insulation with staggered joints. The bottom layer can be mechanically attached while the top layer can be adhered with an adhesive. Using this installation method can negate the heat loss which can occur with a single layer of insulation. • White or black roof? There have been a number of conflicting studies regarding the use of a white or black roof . Generally, Climate Zones 5 (Midwest), 6 and 7 ( Upper and Northern Midwest, benefit from a black roof because there are more cool days than warm days. However roofs with photovoltaic systems require light roofs in all climate zones and buildings which place an emphasis on interior cooling may be candidates for a light-colored roof system. It is also important to note that white membranes become darker over time due to environmental factors. • Daylighting can be a good option: Lighting is one third of building electricity cost. Up to 70% of lighting cost can be saved with effective day-lighting. 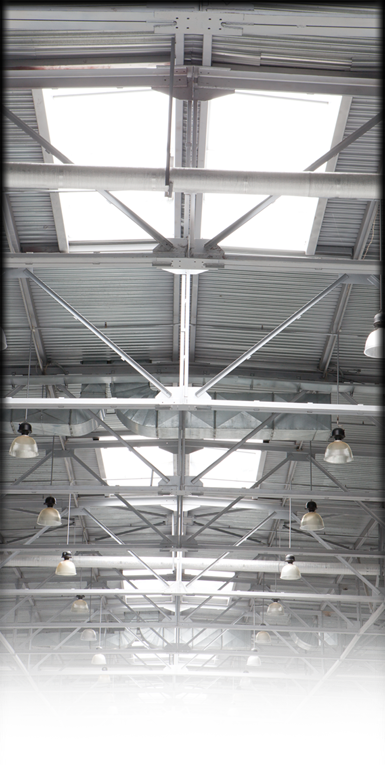 Good day-lighting with strategically placed skylights can lower A/C demand and allow for specifying smaller coolers. Some studies have shown significant productivity gains in buildings with natural light. Lutz Roofing has the skill and expertise to ensure that your roof system will be properly designed, installed and maintained to maximize full energy potential. Feel free to speak with a Lutz representative about the potential options which are best suited for your facility.